Verdant Capital has joined IMAP, the leading global M&A partnership, becoming the second partner firm in Africa. 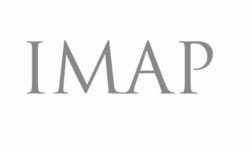 The IMAP partnership was established in the early 1970s and has over 500 M&A professionals spanning five continents. IMAP was ranked 8th in the global mid-market M&A league table in 2017 (source: Thomson Reuters). The partnership offers clients buy and sell-side M&A advisory on a global basis as well as related debt advisory and corporate finance services. www.imap.com. Becoming a partner of IMAP provides Verdant Capital’s M&A business with a global reach which is perhaps unparalleled in the middle-market in Africa. Going forward, all of Verdant Capital M&A transactions will be executed in collaboration with its IMAP partners around the world offering its M&A clients access to buyers and counterparties from, for example, North America, Western Europe, BRIC countries or Japan. In many cases global buyers are prepared to pay a premium to valuations available from buyers from the region. Sector specialisms of the IMAP partnership globally include Financials, TMT, Consumer and Industrials which complements the expertise of Verdant Capital.